Key components of the Bion-M No. 1 satellite. 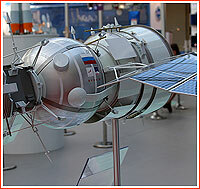 The latest version of the Russian biological-research satellite officially designated Bion-M (industrial designation - 12KSM) was originally conceived to fly life-science payloads in orbit for as long as six months, giving biologists considerably longer time for exposure of their experiments to weightlessness and space environment comparing to missions onboard its predecessors not exceeding three weeks. Longer missions became possible thanks to upgrades in the satellite's power-supply system featuring solar panels. In addition, the liquid-propellant engine apparently borrowed from military and civilian remote-sensing satellites, such as Resurs-DK and Persona and capable of multiple firings, would enable considerable flexibility in the choice of landing sites. During the entire flight, Bion-M would have capability to maintain its orientation relative to the Sun. 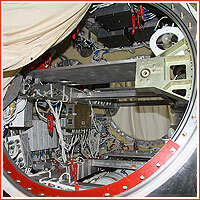 An upgraded life-support system on Bion-M would have a supply of oxygen stored in the high-pressure tanks. The operational altitude of the satellite would double from around 200-400 kilometers to under 600 kilometers, which would substantially increase the exposure of experiments to space radiation. Finally, TsSKB Progress in Samara, the prime developer of the satellite, promised to give the spacecraft the capability to downlink live scientific data during the mission to the Russian ground control network and to a receiving station in Sweden at least once a day. At least once, a day, the spacecraft would be able to transmit previously recorded telemetry from scientific payloads. Like its predecessors, Bion-M was equipped with special "platform with means of separation" or PSO, mounted on top of the descent module. 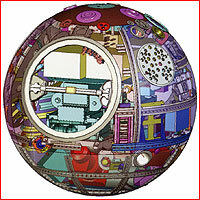 It was essentially an adapter interface designed to release one or multiple payloads from the main satellite. Upon entering orbit, the spacecraft will also open covers of payload containers to expose experiments to the conditions of space. These covers will be closed again before the braking maneuver to reenter the Earth atmosphere. Due to high cost and ethical problems, the Institute for Medical and Biological Problems of Spaceflight, IMBP, in Moscow, responsible for the Bion program, discontinued its program of flying primates. IMBP also pledged to follow strict ethics rules regulating the use of all other animals, which would continue orbital flights, such as rats and lizards, as well as enable independent oversight of the project by bioethics officials. 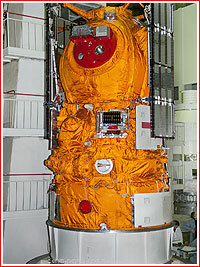 The descent module of Bion-M spacecraft would land under a parachute, which would also release a cluster of soft-landing engines, firing moments before the touchdown, as it was done on Voskhod spacecraft and Yantar reconaissance satellites. A battery onboard the capsule was designed to provide life support for all biological experiments for 24 hours after the touchdown. 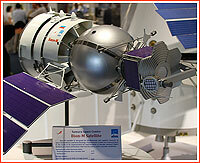 In 2004, the Russian space program for the 2005-2015 approved three Bion-M missions (623) between 2010 and 2016. 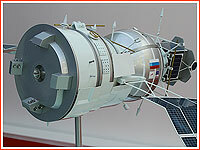 In 2013, Russian press reported that four missions would be conducted by 2020.